Born into a musical English family, classically trained and educated in music theory, and composition, Richard plays several instruments, and has scored several classical pieces including a small Symphony. In addition to gigging, playing synths and keys with several bands in the UK and France, Richard has played the oboe in a London orchestra often revisiting prestigious venues such as the Royal Albert Hall. In the late ’90s, it was recording that fascinated Richard, the technical and artistic aspects of audio engineering especially mixing, programing and sampling, meant that Richard transitioned from a recording musician (regardless of a recording contract with a band he was in), to engineer and learned the trade by seeking work in recording studios in and around London. During this time he worked with a number of great producer/engineers and artists across a multitude of musical genres and styles. Richard continued to perform live but also started to help develop and manage local London acts, organize live events both in the UK and then France until he finally moved to France permanently. In France, Richard was offered a Pro DJ role, which developed into working at various well-known major venues and clubs in Northern France, and Belgium. A phone call at the top of his DJ Career changed Richard’s life forever, accepting an offer to live in the United Arab Emirates that allowed him to open a world-class recording and mixing studio. The 6 months trip lasted 6 years; an invaluable experience that would greatly help later. 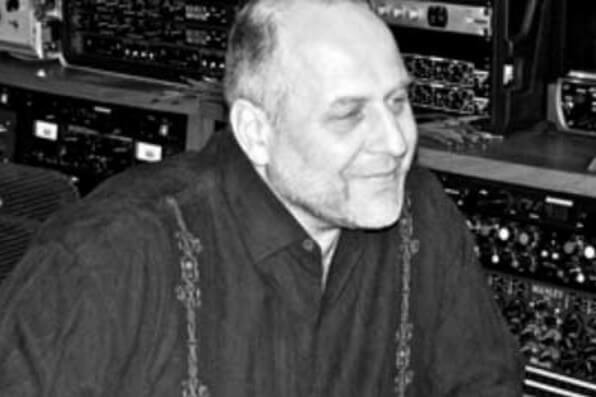 With a passion for mixing, Richard realised that many musicians had difficulty in accessing good mixing engineers locally, which led him to create www.mixingAudioPros.com. The idea was simple, create a boutique network of talented and proven audio mixing engineers around the World and offer professional mixing and mastering services to current and new emerging Global markets. Building on the success of mixingAudioPros and after 20 years of wanting to own a studio, Richard moved to Australia and in 2014 acquired the oldest independent recording studio in Sydney. A Sharp Recording Studios was closed for 4 months and totally renovated from the ground up. Having worked with many musicians and producers Richard knows what elements in a studio are crucial. The final results are more than impressive. A Sharp Studios today represents a highly sophisticated living and working environment that any artist could ever want for crafting great music. The Rumjacks, Mental As Anything, Manran, ILUKA, The Screaming Jets, ExCuria, Enter Six, Ephemera Ensemble, Deep Cast, Sub Culture, Conor O’Reilly, SundownState, Mythra Ensemble.